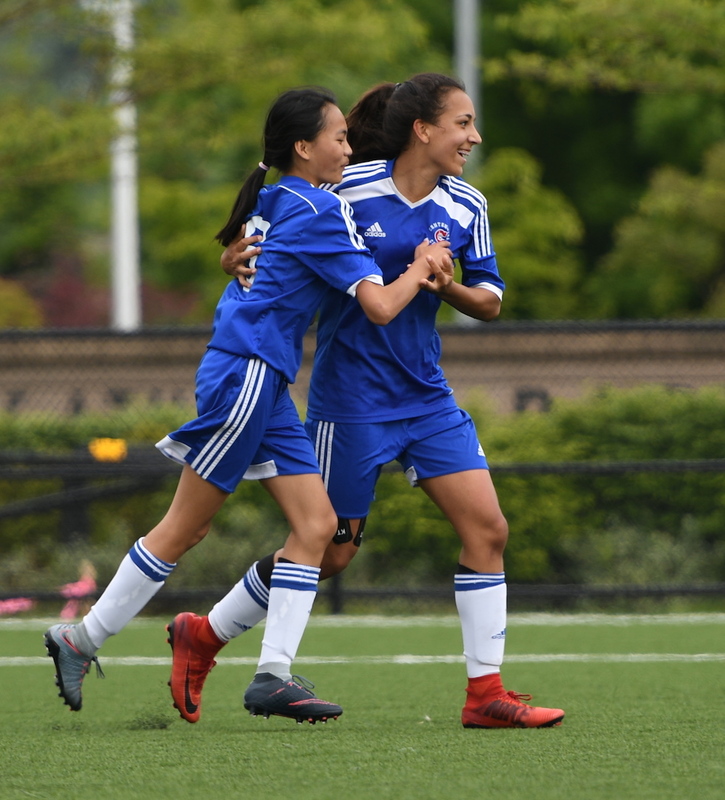 Amongst the provincial senior girls AAA soccer elite since the season opened in March, there didn’t figure to be too much to choose between two of B.C. most talented sides. So when the pair clashed Thursday afternoon in the Fraser Valley championship game at Cloverdale Athletic Park, maybe it was no surprise that the margin of victory was as slim as it was. 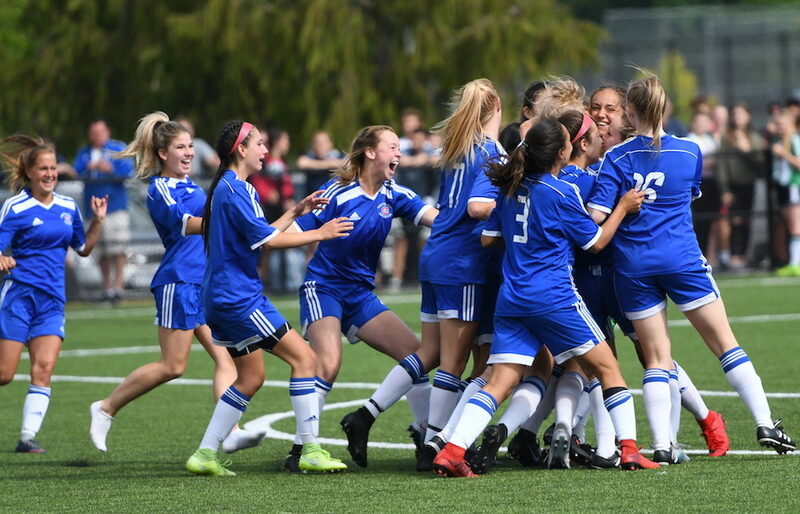 After a 2-2 regulation tie, a scoreless 15-minute overtime and seven rounds of penalty kicks, the Centaurs finally emerged victorious, ready to take another shot at winning the provincial title when the B.C. tourney opens May 31 at UBC. Last season, Centennial had its run to the B.C. title halted in the provincial Final Four round. The Sun Devils opened the scoring in the opening 10 minutes when Grade 9 Sydney Solmundson jumped on a carom in a scramble and deposited the ball home. Before the half, however, Centennial was able to equalize on a goal by Sophia Ferreira. In the second half, Centaurs’ talented forward Raegan Mackenzie put her team up 2-1, then almost made it 3-1 a short time later with an offering that went off the post. 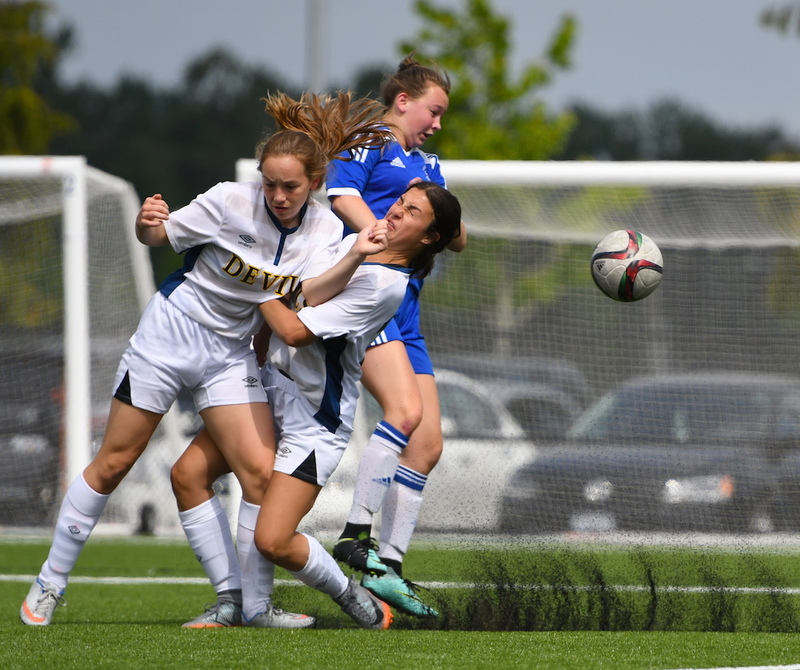 South Delta, undaunted, rallied to send the game into overtime on a tally from eight-grader Kate McDonald. In the PK session, the Centaurs went up by a pair and looked ready to win the game. Afterwards, South Delta co-coach Stephen Burns tipped his cap to both the effort of his girls and the Centaurs. Coquitlam’s Dr. Charles Best Blue Devils defeated Surrey’s defending B.C. champion Panorama Ridge Thunder 6-3 in the third-fourth place match. In the 5th-6th match, Chilliwack’s Sardis Falcons defeated Surrey’s Fleetwood Park Dragons 2-0. Best, Panorama Ridge, Sardis and Fleetwood all qualified for the provincial tournament along with Centennial and South Delta. Port Coquitlam’s Riverside Rapids defeated Surrey’s Enver Creek Cougars 2-0 to grab the zone’s seventh-and-final B.C. tourney berth. We’ve got plenty more girls high school coverage planned in the run up to the start of the provincial championships.